Born in Braga, the 183cm tall Diogo Dalot can play left-back, right-back and has also featured as a right midfielder. A standout star in the UEFA Youth League this season, where he scored two goals and two assists in five games, as well as for FC Porto’s B-side in the Ledman Liga Pro (second division) the wing-back is considered a long-term replacement for Rafinha, who is considering a return to Brazil in the summer. His ability to play on either side means that Dalot could also back up David Alaba. The caveat, however, is that Dalot has an exit-clause of €20 million, which Bayern was unwilling to pay and which eventually opened the doors for the player to move United. The decision-makers at the Rekordmeister were hesitant when it comes to spending significant sums for fledging Portuguese stars after the experience the club made with Renato Sanches, who was signed for €35 million 18 months ago but is currently struggling to make the most out of a loan move to Swansea City. Furthermore, Porto have an option to extend Dalot’s contract, which according to transfermarkt.de would mean that his exit clause would grow from €20 million to €60 million. Hence, why Bayern are interested they would like to pay significantly less than the current exit clause, but with Portuguese clubs known as tough negotiation partners, it would be difficult to imagine that Porto would dramatically lower their demands without need. Another question is whether Diogo Dalot has the potential to step straight into the Bayern side. Keep in mind the player he would replace would be the highly experienced Rafinha. Although the Brazilian is not the flashiest player in Bayern’s squad, the 32-year-old has the experience of 305 Bundesliga games and 56 Champions League outings. Rafinha would leave big shoes to fill for an 18-year-old Portuguese wing-back, who has not even played for Porto’s senior side yet. The lack of experience and the high transfer sum are two negatives. But there are also good reasons for any club to risk bringing in the Portuguese right-back. 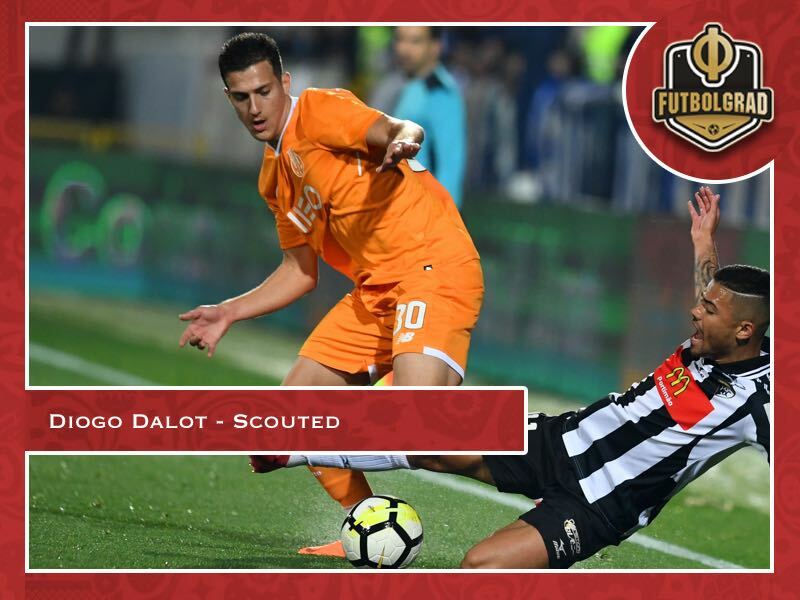 Going by his performances at the junior level and the Portuguese second division Dalot is a fast, reliable and dynamic player, who uses his strengths to both shut down offensive wingers but also to break forward when necessary. Diogo Dalot’s goalscoring record in the UEFA Youth League indicates that he is never shy of joining the forward rush with speed being the primary asset for him to both tracks back and forward. Going forward Dalot often overlaps with the attacking wingers, which makes him a perfect player for top clubs when playing against deep sitting Bundesliga sides. Dalot is also surprisingly strong in the air, both to defend, but also to score goals. With this in mind, a transfer is always a risk. But Dalot has the potential to develop into one of the best young players on the continent and any club potentially signing the young star will get a player that in the long-term could become the best on his position. Hence, while Bayern were unwilling to take the risk at the time other clubs could be more adventurous and see themselves awarded. Oleg Shatov – Via Krasnodar to the World Cup?